It was a Shepard trifecta on Saturday, when Austin Shepard secured a record fifth Augusta title with his 225-point win on Bama Jelly, by Bama Cat, in the Augusta Futurity. Sam Shepard, Austin’s father, claimed the reserve championship on Barney Ross with 219 points, while Austin placed third with 216.5 on Hammer Hughes and also eighth in the 15-horse finals on Bayou Creedence Cat. Barney Ross, sired by Bama Cat and owned by Austin and Stacy Shepard, was an NCHA Futurity Non-Pro finalist with Sam’s grandson, Cade Shepard, who won the 2019 Augusta Futurity Non-Pro championship on Lite Headed and tied for fourth on Southern Styles, both also owned by Austin and Stacy. Austin Shepard’s first Augusta Futurity win came in 2008 aboard High Brow CD. In 2014, he initiated a three-year run with a win aboard CD Kual Gun, followed by wins in 2015 and 2016, on Paradox Cat and High Brow Clay 012, respectively. Bama Jelly LTE $38,604, by Bama Cat, and Hammer Hughes LTE $29,248, by Thomas E Hughes, are both owned by Joel Colgrove, Boligee, Ala., whose granddaughter, Madalyn Colgrove, bred Bama Jelly. Joel Colgrove showed Riding In Style as a finalist in the 2019 Augusta Futurity Non-Pro, where Madalyn was also a finalist riding Hammer Hughes, as well as Neat Lil High Brow. Bama Jelly, sixteenth in the 2018 NCHA Futurity under Shepard, is the second money earner out of the Nitas Wood daughter Wood She Be Neat. Hammer Hughes also placed in the NCHA Futurity Non-Pro Finals and earned first in the Non-Pro Gelding division with Madalyn Colgrove. Cade Shepard scored 217 points on Lite Headed LTE $10,017, by Light N Lena, to win the 2019 Augusta Futurity Non-Pro championship. Ali Good, who tied for third in the 2019 Augusta Classic Non-Pro Finals, claimed the Augusta Futurity Non-Pro reserve with 216.5 points on Sabrina Boon LTE $16,673, by Boon A Little, while Sasha Thompson placed third with 211 on CD Super Freak, by High Brow CD. Winner of the 2018 NCHA Futurity Non-Pro aboard Chexy Louellla, 18-year-old Cade Shepard became the youngest rider to win the NCHA Futurity Non-Pro championship and both the NCHA Super Stakes and Derby Non-Pro titles, which he had claimed in 2015 aboard Twistful Thinking. 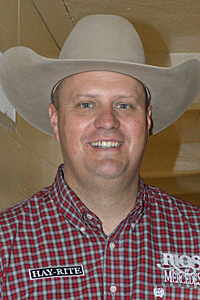 A member of the NCHA Non-Pro Hall of Fame, Shepard is the NCHA earner of $765,068.